My daughter, Kyla, and my girlfriend, Kristine, organized a pre-father’s day weekend for me along southwestern Ontario’s Grand River. They figured it was about time I “chilled out” a bit and did something less random. So, they planned a weekend full of activities that went well beyond just paddling a canoe on a river. The idea was to capture the true sense of the Grand, while still going for a paddle of course. 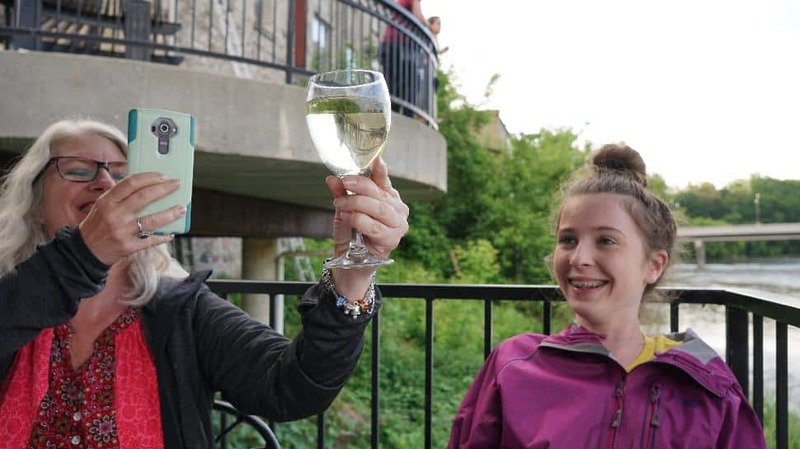 First on the agenda—what tourism has labelled “The Heart of Ontario”—was a Friday afternoon tour of Paris, Ontario, a charming hamlet once voted “The Prettiest Little Town in Canada” by Harrowsmith Magazine. Our guide was local historian Mike Hayward. We strolled through town and took in all the historic places: quaint cobblestone homes; the old Arlington Hotel; the place where Alexander Graham Bell, inventor of the telephone, received the first long-distance phone call from Brantford on August 10, 1876. The rest of the first day was spent touring (and tasting) at Howell’s Cidery and feasting on ribs at the renowned Camp 31 BBQ. We were on the river early morning on day two. 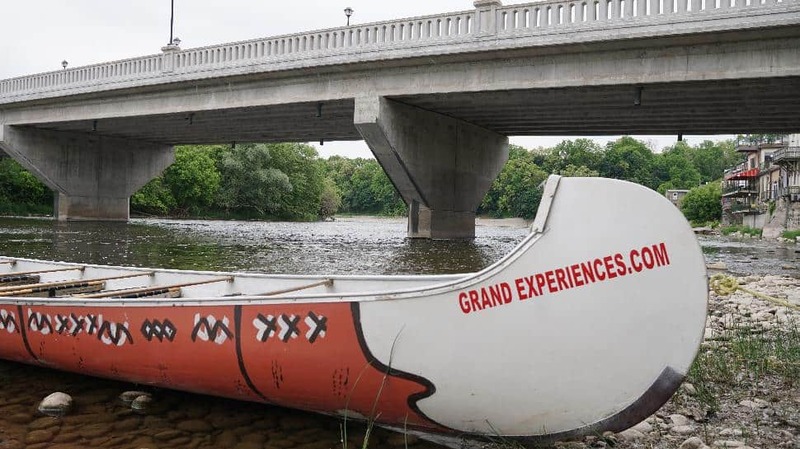 Jamie from Grand River Experience guided us down the Grand from Paris to Brantford Conservation Area in a Voyageur canoe—visiting a First Nations storyteller along the way. That was Kyla’s favourite part of the weekend. Mine as well. The Grand is an absolute oasis tucked away in an urban environment, full of history, culture and biodiversity. A pint at Brantford’s Mash Paddle Brewery and then dinner at 2 Rivers Restaurant back in Paris, ended the day—a perfect day. Kyla woke up with the flu Sunday morning. That ruined her plans for taking me stand-up boarding with Grand River Rafting. She wasn’t too pleased. That was one thing she insisted to have on her bucket list for the weekend. We at least visited the owner, Garth Pottruff—a acclaimed guide on the river who’s business takes over 40,000 people down the Grand River every year. On our way home we made sure to finish off our weekend on the Grand with a visit to Her Majesty’s Royal Chapel of the Mohawks. I really wanted Kyla to see this special place—the oldest surviving church in Ontario. Eight stunning stained glass windows depict the extensive history of Six Nations and their role in Canada’s past. The graveyard is also the resting place of Joseph Brant and First Nation warriors who fought beside him in the War of 1812. Next to the tomb there is also a boulder memorializing the writer Pauline Johnson, who once attended services in the chapel. Visiting the church is an absolute must for all Canadians. Kevin Callan dishes on his favourite bug shelter for the "biting season."